Diamonds are special. And they have increased in popularity ever since man learned to put facets on them bringing out their incredible ability to sparkle. 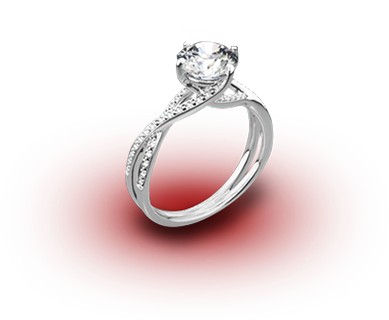 It is true that diamonds are extremely rare and precious. And it is true that diamonds are the hardest known natural substance, giving them durability for the ages. But it is their ability to dazzle the eye with brilliance and fire that makes diamonds the ultimate gemstone. And while the intrinsic properties of color, clarity and carat weight influence the value of a diamond, it is the craftsmanship of man that determines how beautiful a diamond will be and how much it will sparkle and shine. Bringing out the full potential for light performance of a raw diamond is a combination of science, experience, skill and patience. Ideal cut diamonds are those which have been cut to exacting proportions and polished with utmost attention to detail. 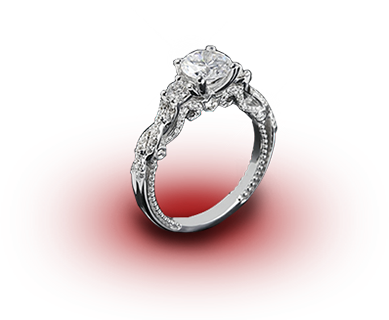 It is far more costly to cut a diamond to ideal specifications. More time is required of the most skilled diamond cutters, and more of the rough material must be sacrificed in order to produce ideal cut diamonds. Cut refers to more than just a diamond’s shape. It refers to more than depth, table, polish and symmetry. 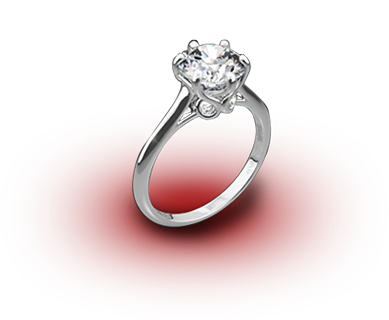 A diamond’s cut quality also depends first on the proportionality of its key parts. 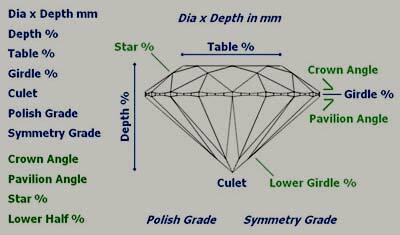 A diamond’s proportions determine its potential to reflect and refract light. In addition to proper proportions, faceting precision is ultimately the key to diamond light performance There are 11 different proportions and cut details that together determine the cut quality of a round diamond. Unfortunately, many diamond reports omit data on several of these key factors making it impossible to fully understand the diamond’s actual light performance. Until 2006 GIA did not provide all the relevant cut data, nor did they provide an overall cut assessment on their reports. 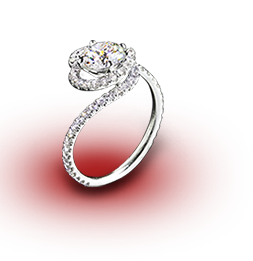 Today, GIA does provide an overall cut grade on reports for round diamonds. The GIA methodology is widely accepted as being a good indication of cut quality based upon known data sets and surveys of a large number of human observations. In 1996 the American Gem Society Laboratories (AGSL) was the first major laboratory to provide a cut grade. It too was a system that compared a diamond’s basic measurements to pre-established tables of known high quality proportion sets. But in 2005 AGSL released an advanced Light Performance Grading system. This methodology looks at the actual light performance of the diamond by way of an accurate model of the diamond derived from a 3D scan. 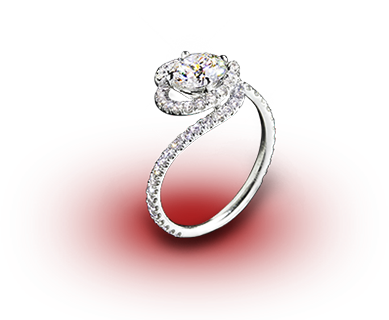 The model is ray traced through a sophisticated mathematical algorithm and the contribution of every facet of the diamond is accounted for by tens of thousands of computer calculations. These two top-tier labs approach cut grading differently. The GIA system features broader cut grade categories and relies upon averaged and rounded measurements to match a cut grade on a chart. The AGS system is significantly stricter and ray traces the actual diamond in assessing brightness, dispersion (fire), contrast, and light leakage in order to calculate the cut grade. As a result of the nature of this rigorous scientific analysis, AGS Ideal is widely considered an elite grade. For more information on differences between the two approaches, please see our page titled GIA Ex vs AGS Ideal. 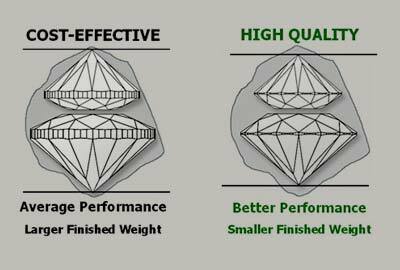 The AGSL light performance based approach has a significant additional advantage in that the system can be applied to any diamond shape, and grading structures can be developed around the quantified performance factors. Currently AGSL provides cut grades on rounds, princess, oval, emerald cut, some cushions and some proprietary cuts. 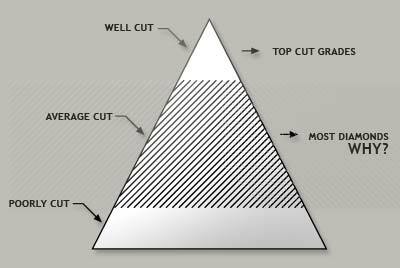 For more info on cut grading of fancy shapes see our article on princess cut grading at AGSL. Precision cutting for maximum beauty takes more planning, more skill, more time, and most importantly, the sacrifice of more carat weight. Because diamond pricing is predicated to a large extent on weight, there is a strong incentive for manufacturers to take liberties with proportions and faceting precision in order to retain as much weight as possible from the rough. Unfortunately, profits and beauty are goals that conflict in this scenario. Interestingly, this is not a new dilemma. A small number of forward thinking American cutters around the turn of the 20th century were among the earliest proponents of cutting for maximum beauty. But powerful forces in the industry kept this philosophy from becoming widely adopted. Things are starting to change today as more consumers are learning about the importance of cut quality and as more manufacturers are starting to cater to this growing market. How can you tell the difference between ideal cut diamonds and ordinary diamonds? 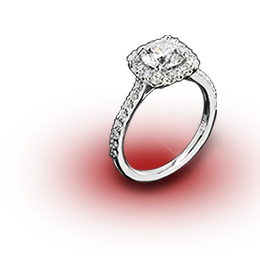 While well-cut diamonds can be very pretty, a person desiring the very best in cut quality will look for lab certified diamonds with a cut grade of Excellent or Ideal. Many diamond shoppers and connoisseurs insist on AGSL reports when shopping for a diamond that performs at the very top of the scale in terms of brilliance, fire and scintillation. 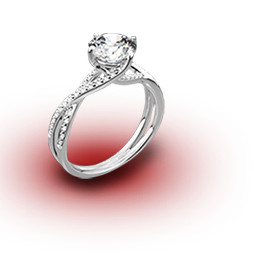 Besides maximizing light performance, ideal cut diamonds have two other advantages that are often overlooked. First, by returning more light to the eye than normal cuts, ideal cut diamonds appear larger. In addition, by virtue of reflecting and refracting so much of the ambient light back to the eye and masking body color, ideal cut diamonds also appear whiter than ordinary cuts. With the greater sparkle, better color and larger apparent size of ideal cut diamonds, why aren’t all diamonds cut to ideal proportions? The answer is in the economics of the diamond market. Certain sizes sell for premiums. 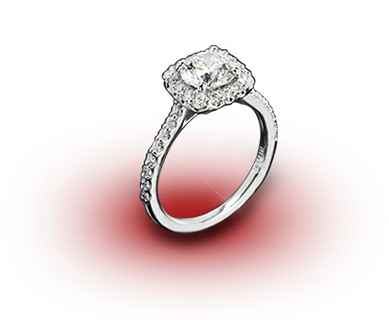 A 1.00 carat diamond sells for much more than a diamond of .95ct. Diamond cutters are forced to look at the market particulars in planning each rough diamond they cut. 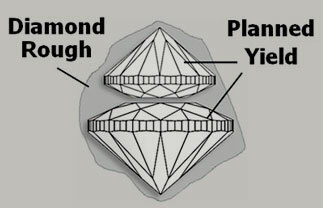 Taking liberties with the proportions of the finished diamond will result in more weight retained from the rough. Certain sizes in certain colors and clarities will bring far more money on the market, even if not cut to ideal proportions, than slightly smaller ideal cut diamonds. While this is still a prevalent factor today, the diamond market has changed significantly over the last 10-15 years as more and more consumers understand the advantages of top quality cutting. The internet has been a driving force in this change as consumers are educating themselves on diamond cut. Manufacturers are responding to this new demand by improving cutting methods and making certain sacrifices in order to provide ideal cut diamonds to a growing number of astute diamond shoppers. 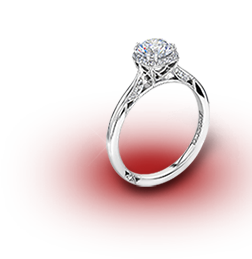 Hearts and Arrows diamonds featuring precision faceting and optical symmetry are becoming more widely available today. As a pioneer and specialist in ideal cut diamonds, Whiteflash has been at the forefront of this movement. Our globally recognized A CUT ABOVE® comprises a category of “Super Ideal” diamonds that have been certified by AGSL as Ideal with Platinum certificates, and have passed additional testing by the Whiteflash diamond review team. 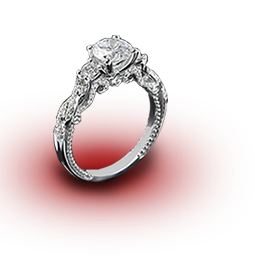 Indeed, even our second category - Expert Selection - contains certified AGS Ideal round and princess cut diamonds that narrowly missed the additional requirements to make the A CUT ABOVE® brand. Cut quality is the least understood of the diamond 4 C’s but arguably the most important. 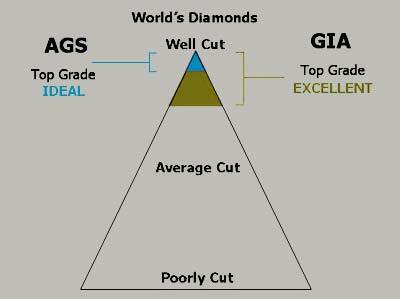 Modern laboratory grading takes some of the guesswork out of selecting a well cut diamond. 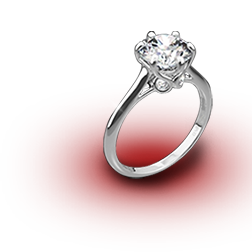 High quality certified ideal cut diamonds have been crafted with the goal of optimizing light performance and maximizing beauty. Many diamond shoppers who prefer not to make any compromise on cut quality are seeking super ideal cut diamonds which represent the ultimate in faceting precision.